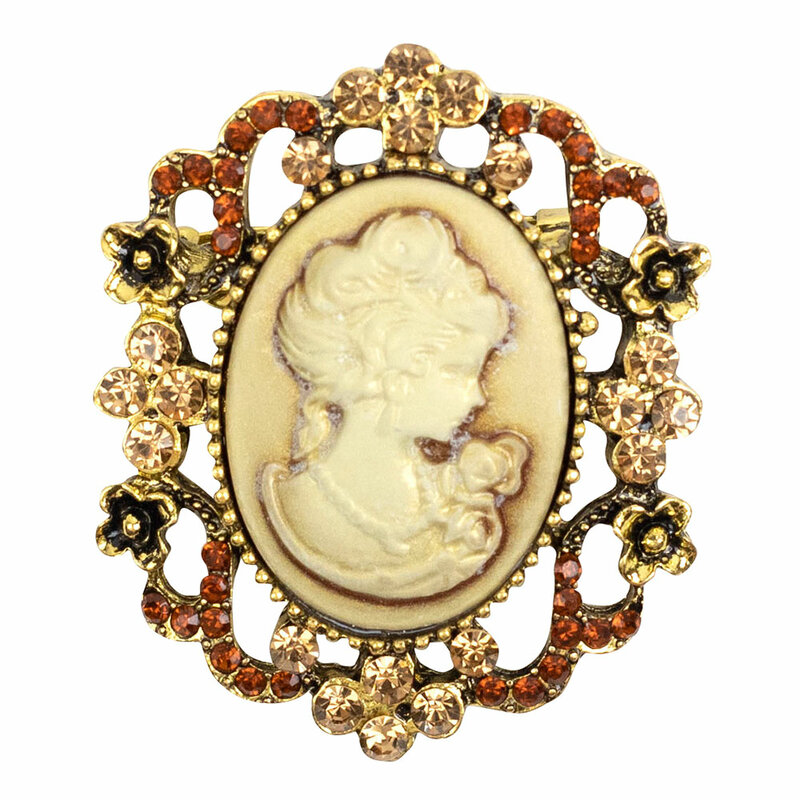 As with any classic piece of jewellery, cameo brooches are a finishing touch to a well styled outfit. 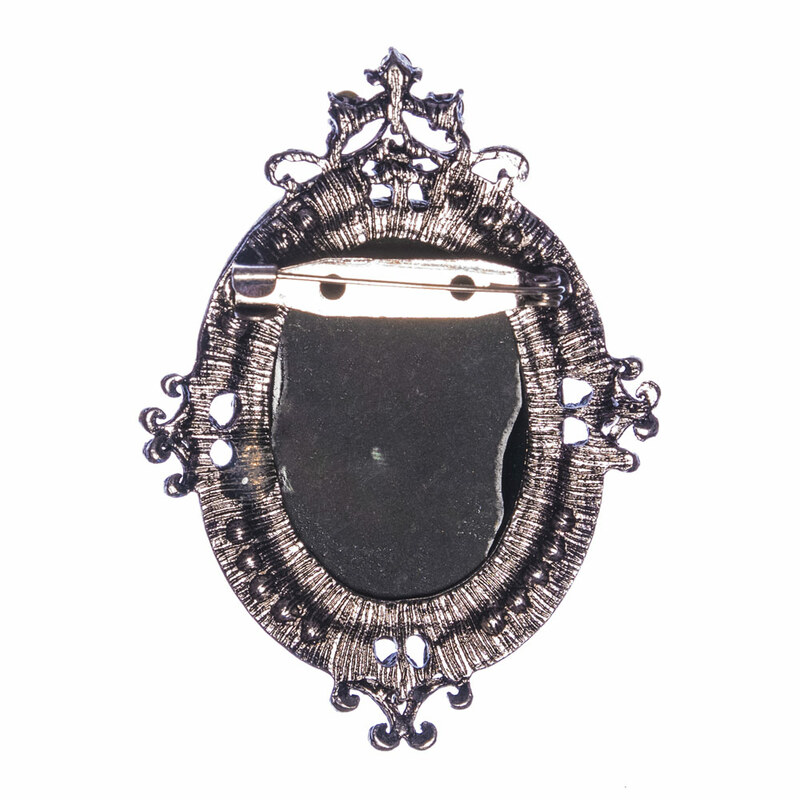 Our great range of brooches features unique pieces that add a touch of art, drama, sophistication and fun to any ensemble. Buy yours with us and enjoy free shipping on orders over $60, easy returns and top notch customer support. 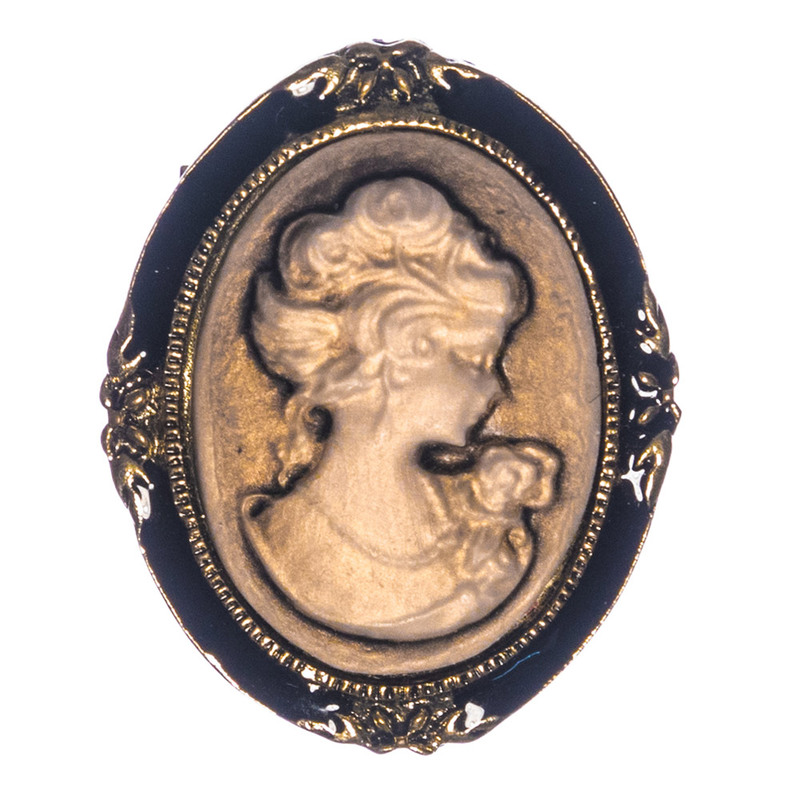 If you thought cameo brooches are a thing of the past and have no place in the modern world, think again! They make for beautiful and timeless fashion accessories; with every piece different from the other. 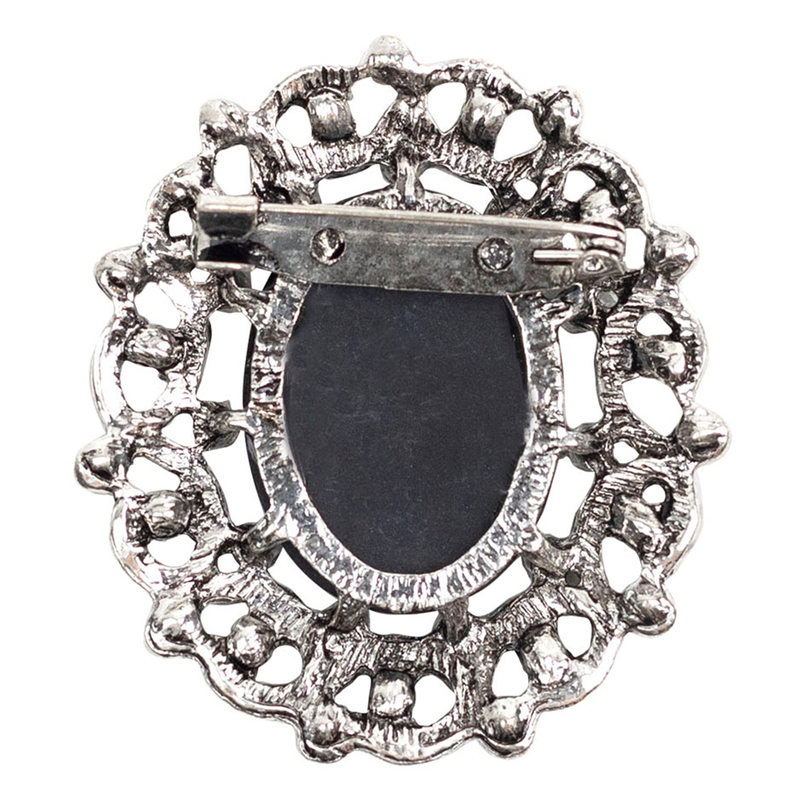 Here, you can find brooches crafted from gunmetal and accentuated by sparkling rhinestones or crystal encrusted frames; that effortlessly add a dramatic statement to your overall look. 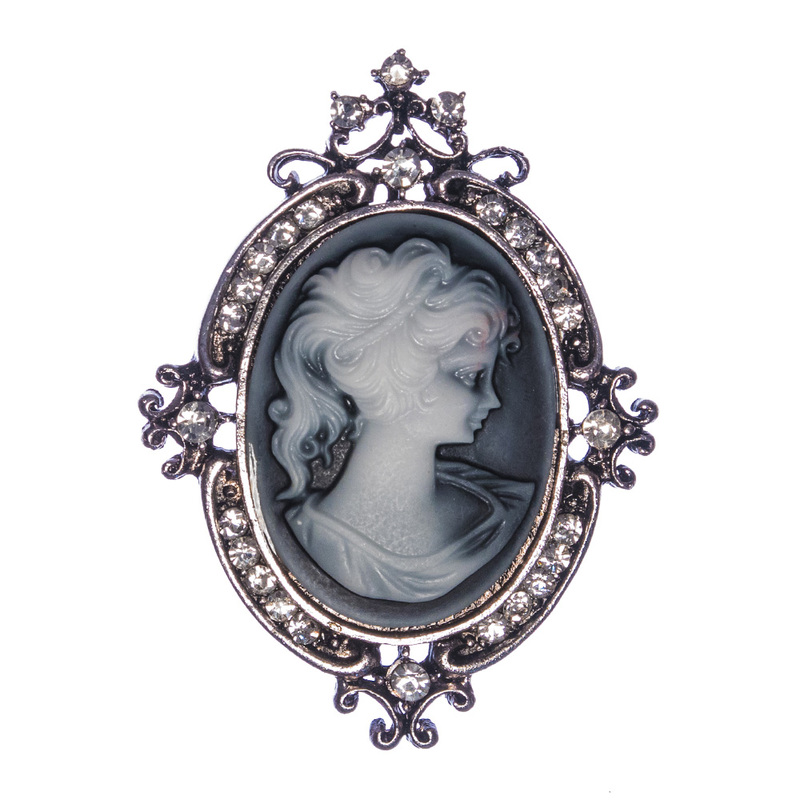 Our cameo brooches depict a classical portrait of a young lady, and are the best way to ooze a royal yet soft, romantic and ultra feminine vibe. 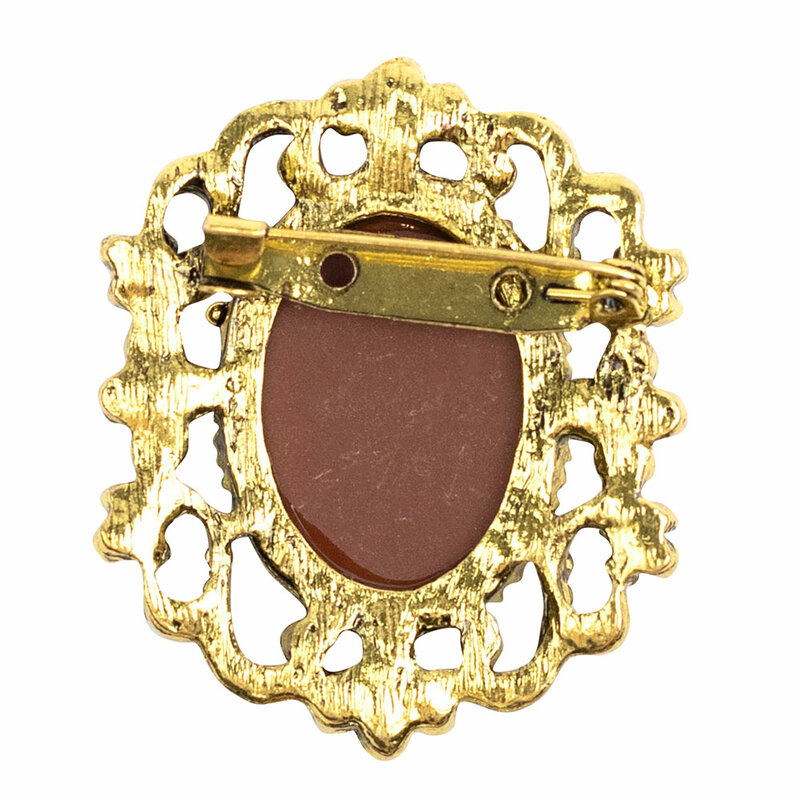 With beautiful Victorian subtle tones, they are an exquisite adornment to any outfit. 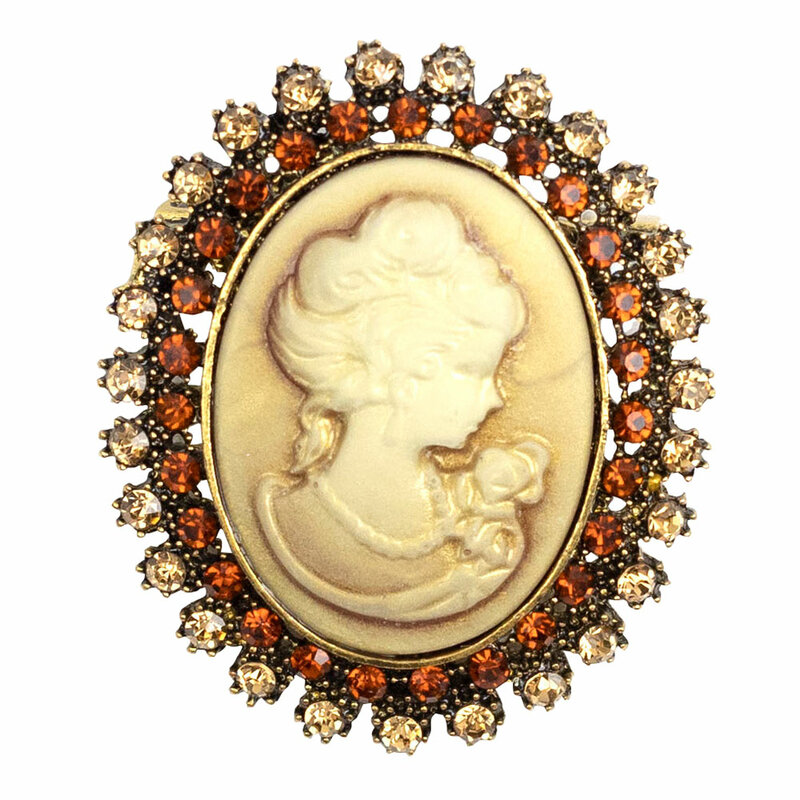 Whether you opt for a classical collar position or to embellish the neckline of a simple cable-knit sweater; cameo brooches are a sure way to jazz things up and flaunt your jewellery in style. They easily become the focal point of your ensemble and make an un-parallel statement for you. 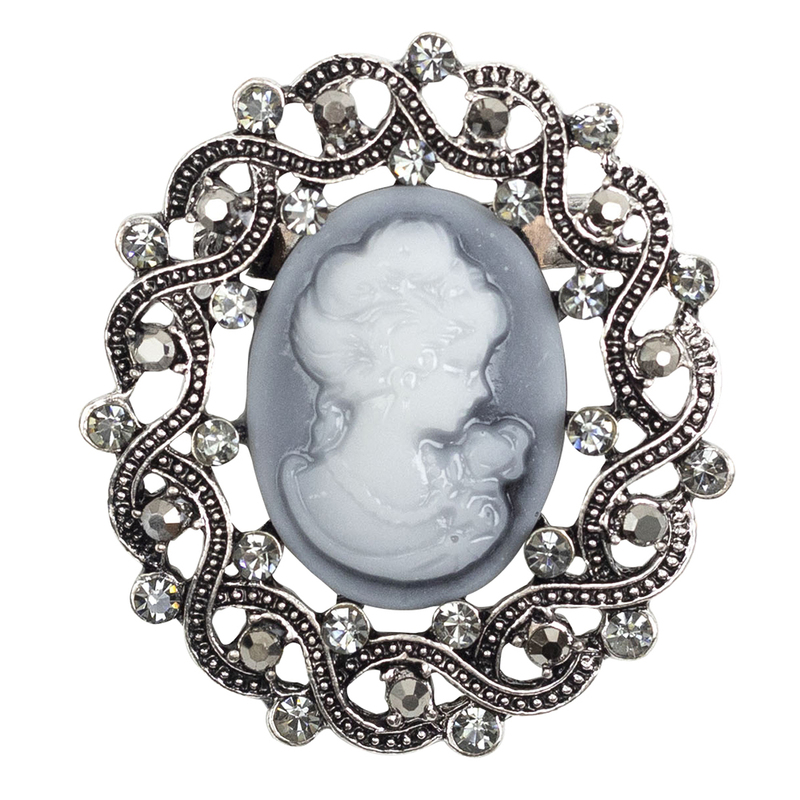 Our range of cameo brooches also carries a sense of grace and elegance with them. 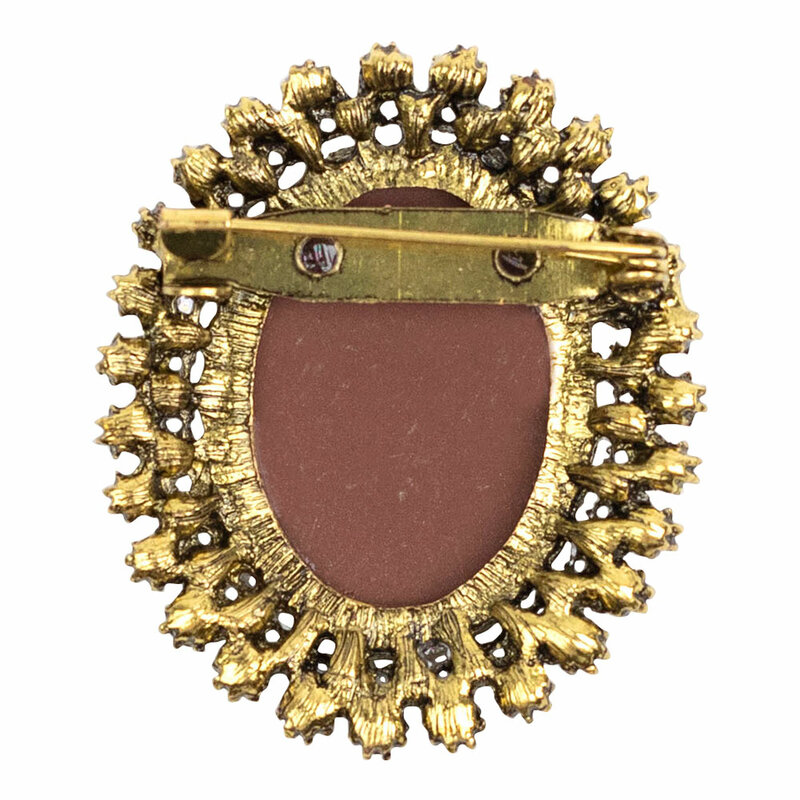 Unlike wedding brooches, they lend a historic and a stylish touch of old world glamour; perfect for both formal and casual attire. Consider fastening it at the throat of a high necked blouse and layer it with pearls to achieve a contemporary and elegant look. 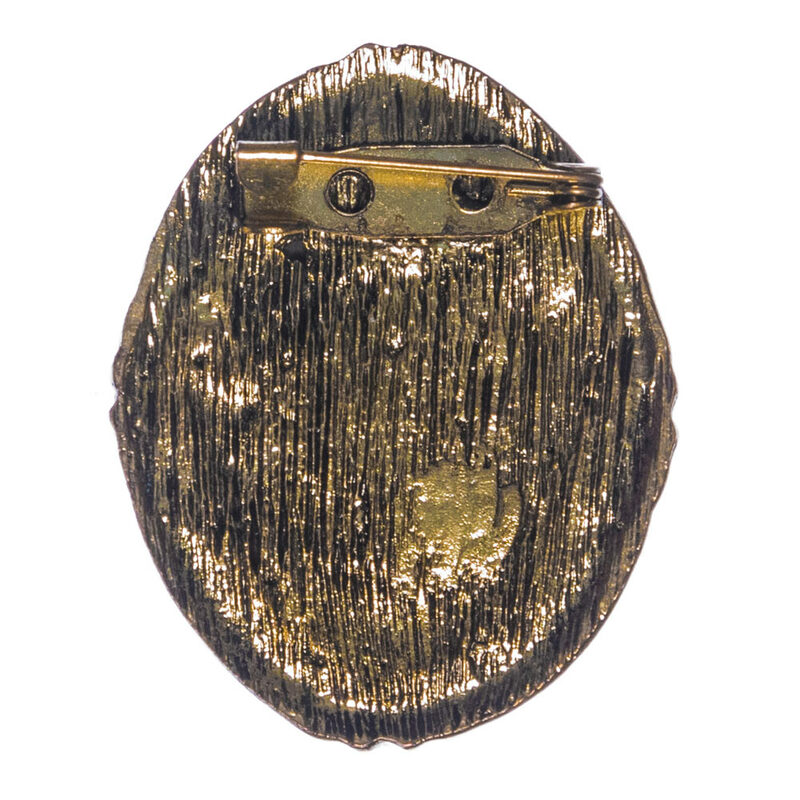 Alternatively, you may opt to go beyond the brooch-on-lapel look and get as creative as you wish. Pin it on to the top of a casual beanie, bag, scurf or the cuff of your jeans for an unexpected chic and ethereal sophistication.